The holidays are a great time for brands to give back to the community. As more and more organizations plan donations during this time period, sometimes stories and pitches tied to corporate donations and volunteer efforts can be white noise to the media. 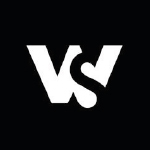 To ensure that a brand’s good work gets noticed, we always recommend our clients’ campaigns serve the most in-need populations in the largest and most unique way possible. Psst…this does not mean your brand needs to give away a $100,000 grant; it means your brand needs to get creative! Keep reading for a case study on how a media relations project did more than just get noticed by the media; it brought awareness to an issue facing the community and helped give back to students in need. 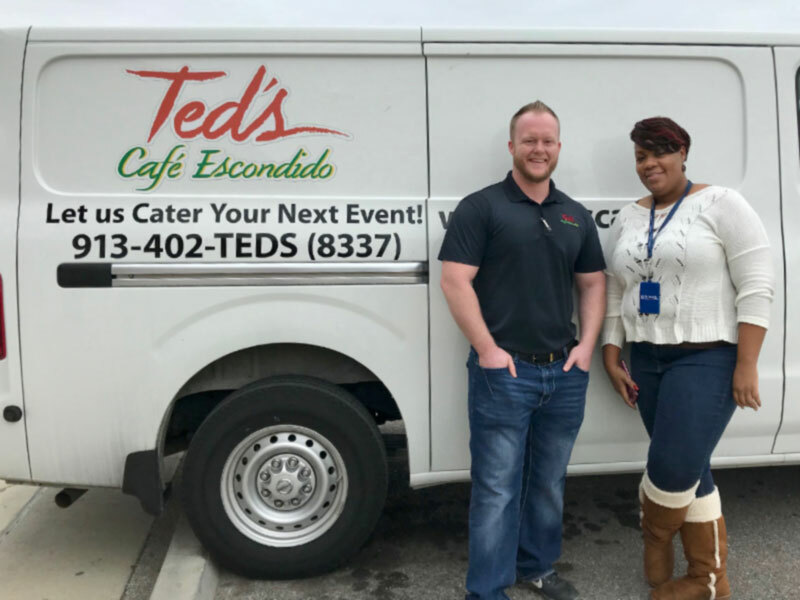 During the 2017 holiday season, we worked with Ted’s Café Escondido, a Mexican restaurant with locations throughout Oklahoma and three locations in Kansas City. Our charge was to help grow brand awareness around its unique offering of fresh, from-scratch Mexican food through various initiatives, including traditional media. However, with limited Kansas City media outlets reporting on restaurants, with the exception of openings, closings and health code violations, we needed to think unconventionally in order to secure coverage for Ted’s. We turned our focus to the holidays and got to work brainstorming unique causes that would be sure to break through the clutter, generate media coverage and give back to the community. During our brainstorm sessions, we contacted many community partners to inquire about needs for the holidays. 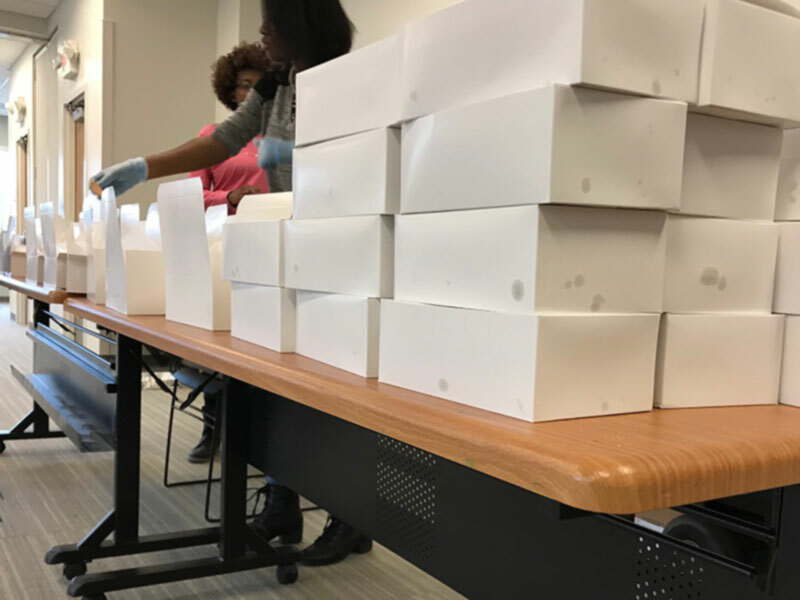 When we learned that more than 83.3 percent of Kansas City, Kansas Public School (KCKPS) students are on the free and reduced meal plan and may be in need of a nutritious meal over winter break — we found our cause. For students who rely on the free and reduced meal program provided by their school, school meals may be their only source of nutrients for the day. Over summer break, there are some government and community programs that provide these students with meals. However, no such programs are in place to assist these students over the three-week winter break. Find a cause to support that was relevant to the Ted’s brand. Play a role in meeting a community need. Draw the attention of other restaurant operators and community groups to the issue in order to grow the response to the need. Generate media interest to grow brand awareness of Ted’s. We called media desks to “pre-pitch” the story in order to gauge media interest before doing extensive planning. We worked with the KCKPS McKinney-Vento Homeless Program to estimate the number of meals to provide. 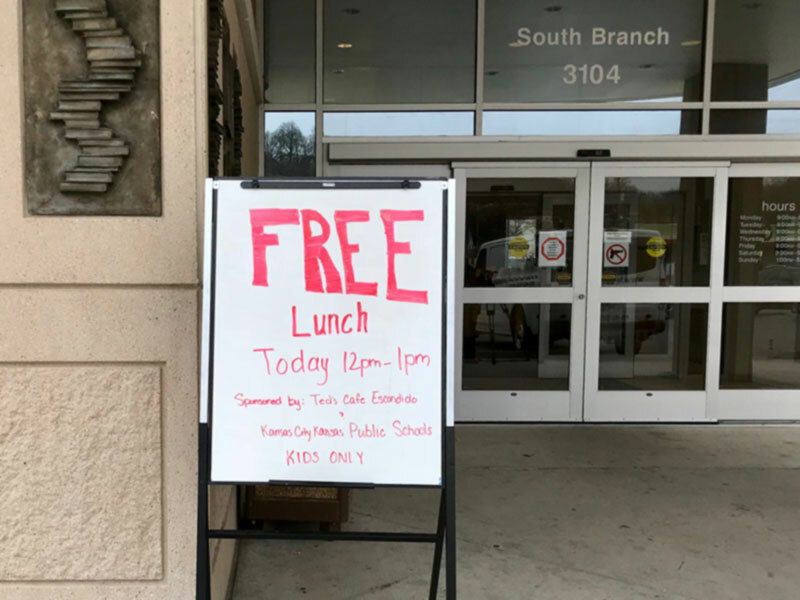 We worked with KCKPS to determine that three public libraries would be the best location to serve meals to ensure students across the district had access. 600 meals from Teds’ kids menu to the three libraries in the school district. Once the donation logistics were in place, we developed media alerts and in-depth media releases to provide reporters with more information about the donation and to bring to light the issue of food insecurity. We secured media interviews and worked with Ted’s to identify and prepare spokespeople for these interviews. The day of the event, we arrived at the South Branch library location, the largest library of the three, to organize the event space and volunteers and to help package the meals into boxes that the students could take to go. 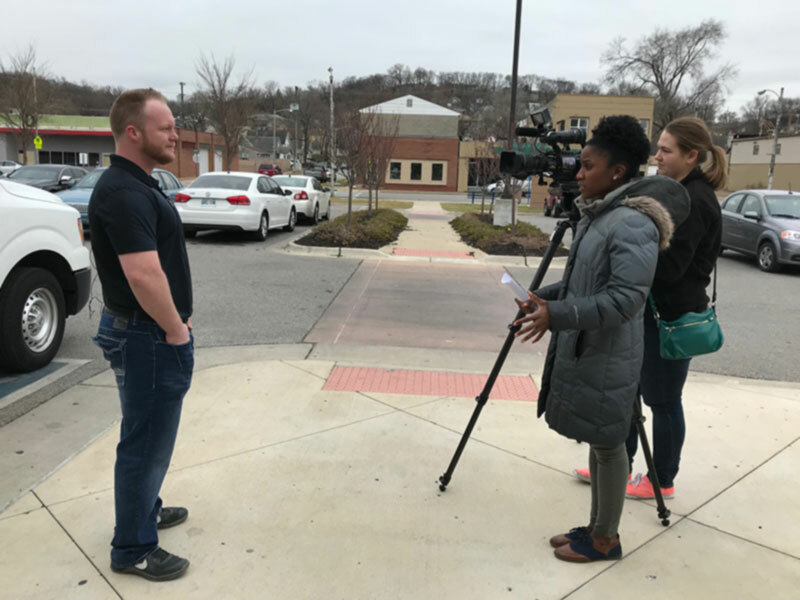 Once local TV stations arrived and requested interviews, we coordinated the media, making sure that all of the reporters had the information and shots they needed. 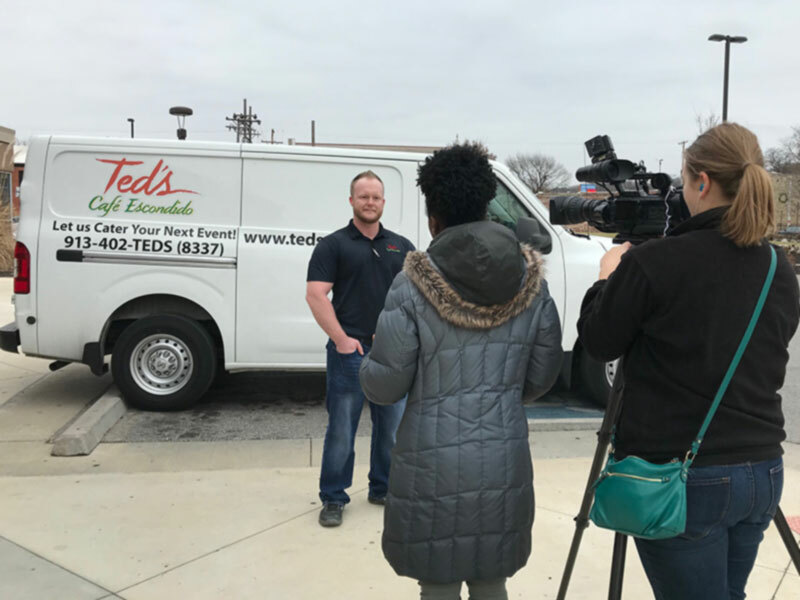 We secured coverage for Ted’s on KSHB – NBC, WDAF – FOX and The Wyandotte Daily, generating more than 902,000 media impressions. In the end, Ted’s was very happy with the media attention and grateful that this coverage allowed it to spread the word on this issue facing local students. Want to find out what we can do for you? Let’s Chat!